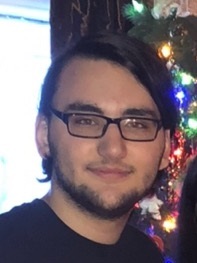 Obituary for Jordan M. Adams | Lynch-Green Funeral Home, Inc.
Jordan M. Adams, 19, of 1183 Brusselles Street, St. Marys, died on Wednesday, January 23, 2019 in St. Marys following injuries sustained in an automobile accident. He was born on July 2, 1999, a son of Barb Loeffler Adams who survives of St. Marys. Jordan was a graduate of SMAHS, class of 2017 and was active with the swim team while in school. He had been employed by Kellington Protection Services. Known for his love of YouTube videos, Jordan also loved to listen to metal and rock music. He was an avid hunter and fisherman who believed that no catch was too small, as long as he was outdoors. He dearly loved his entire family, and would often make surprise visits to his mom at work, which she looked forward to. His brother was very special and dear to his heart. He was also close with his grandparents who helped raise him, especially his Papa, who Jordan had looked up to as a father figure. He also enjoyed his frequent visits to Vito's. He will be remembered for his love of family, especially time spent with his cousins, Cassie, Sierra, Allie, Bobby, and Ellie. In addition to his mother, Barb Loeffler Adams, he is survived by his younger brother, Trevor Adams of St. Marys, his grandparents, Carl and Chris Loeffler, his aunt, Julie Wonderling and her husband Eric of St. Marys, his uncle, Jeff Loeffler of St. Marys, and by several beloved cousins and friends. He was preceded in death by his great-grandparents. Dan and Wilmina DeLullo and Carl "Spike" and Katie Loeffler. Funeral Services for Jordan M. Adams will be held on Sunday, January 27, 2019, at 5:00 PM at Lynch-Green Funeral Home with Rev. Michael Gabler, OSB, officiating. Visitation will be held at the Lynch-Green Funeral Home on Sunday, January 27, 2019 from 2:00 PM until 5:00 PM. Memorial Contributions may be made to the Elk County Humane Society, 1041 E. Eschbach Road. St. Marys, PA 15857.